The chief financial officer of Scottish wave energy firm Aquamarine Power is set to take the helm of Perth-based Green Highland Renewables. Richard Round will join the small-scale hydro power specialist on a full-time basis in August following a transition period from his current role. He will work alongside current managing director Ian Cartwright, who is moving to take a more hands-on development role as chief operating officer with responsibility for the company’s expanding portfolio of sub-2MW UK hydro schemes. “This is a very exciting time to be joining the business,” Mr Round said. “Green Highland Renewables has successfully consented 37 projects since 2010. “The firm has built seven schemes, has eight under construction and will be delivering a very active pipeline over the next few years. “My role will be to maximise the value of the existing portfolio and develop a strategy to deliver growth. Green Highland Renewables chairman Paul Capell said Mr Round’s industry experience made him the obvious choice. 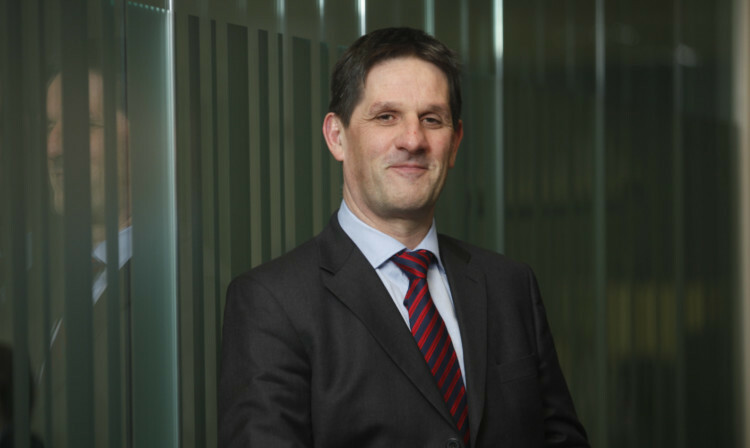 He has spent the past four years as CFO at Edinburgh-based Aquamarine and was a central figure in the raising of more than £60 million of capital. In a previous acting chief executive role, Mr Round managed the £100m-plus sale of wind, landfill, gas and hydro group Novera Energy. “His proven abilities in strategy, finance, and leadership, particularly in the renewable sector, bring exactly the mix of skills we need at this point in Green Highland Renewable’s growth,” Mr Capell. “Small-scale hydro is a mature and well understood technology and offers good long-term returns for investors.